Cover Crops and Crop Insurance on Collision Course again? Cover Crops and Crop Insurance issues seem to be heading to a collision course again this spring in much of the Midwest. In the Corn Belt wet fields have prevented planting with less than 10% of the corn planted by May 5 across the major corn producing states. In the Upper Midwest and even into Oklahoma and Arkansas 2-19″ of snow fell the first week of May. Dairy farmers are desperate for forage and up to 75% of the alfalfa in Wisconsin and Minnesota winterkilled. 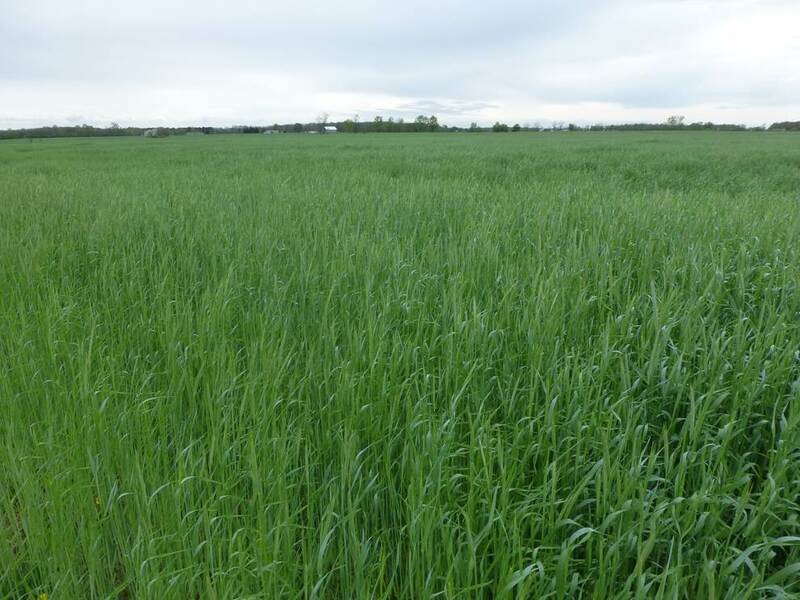 Many of those dairy farmers planted cover crop Winter Cereal Rye with hopes of harvesting Ryelage this spring to get some emergency feed after the devastating drought of 2012. But the cold wet spring (coldest on record in USA since 1975) may have farmers in a pinch with RMA again despite the Special Provisions for cover crops to the common crop insurance policy for the 2013 cropping year. As of May 8, 2013 the Rye is only around 10″ tall in most of Wisconsin…certainly not ready for harvest by the May 10 RMA cut-off for harvesting and still attaining crop insurance. 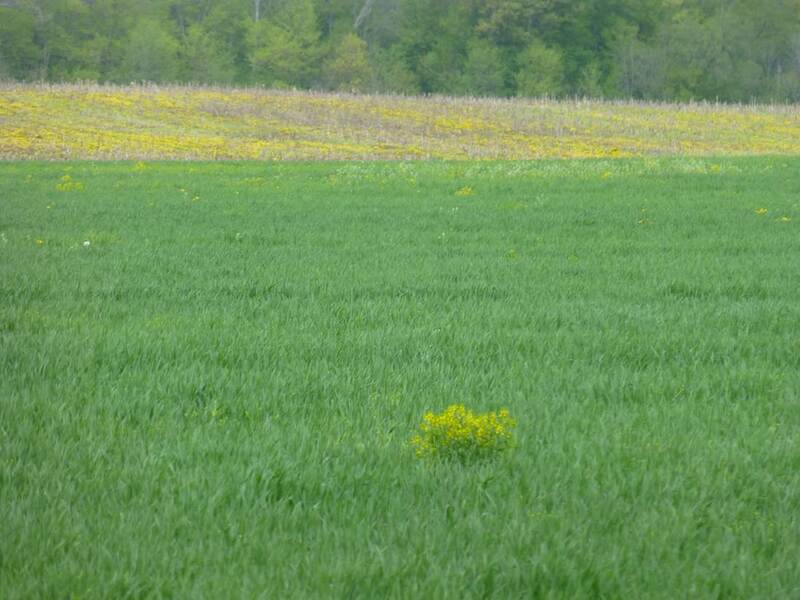 Even in Indiana the cover crops are ‘exploding” into head after an exceptionally slow start to spring. The fact that these fields are not full of winter annuals that are headed out like neighboring fields should be applauded…so should fields with cover crops be penalized? It appears that farmers in the Upper Midwest have to choose between feed and crop insurance. In much of the Corn Belt the fields are still plenty wet. It is interesting that in some states the fields full of weeds qualify for crop insurance…yet fields with cover crops that have seed heads (instead of weeds with seed heads) do not qualify for cover crops. Go figure. Please check with your crop insurance agent to see what regulations apply to you. 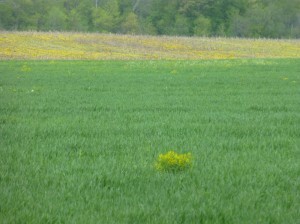 This field of Winter Cereal rye grew tremendously in very late April and early May. Now it is headed out. Does this field qualify for crop insurance? Should farmers be penalized in a wet and cold year for growing a cover crop instead of having a field of winter annual weeds? 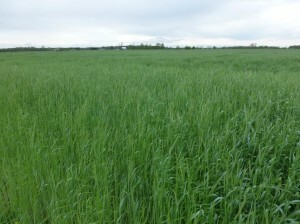 Common sense says that a cover crop is better for agriculture than weeds. 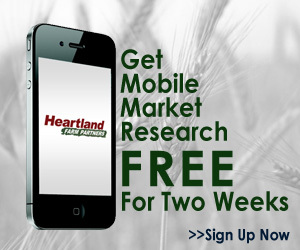 ← Part 3- Do Cover Crops Keep the Soil Colder in the Spring?